While there are nearly 4,000 recorded types of pear trees, the majority are strictly ornamental, leaving only 30 or so as edible. From the Rosacea family, which includes many other fruits (some which seem completely unlike pears) such as cherries, raspberries, and even almonds, edible pears come in two basic varieties: Asian and European. Asian varieties generally offer a firm, crisp texture, while the European type becomes soft and juicy when allowed to ripen. From the stem down, most pears are narrower at the top than at the bottom. The color can range from yellow to red to rust. While one of the most satisfying aspects of eating a pear is the lusciously sweet flavor, there’s also the curiously grainy texture that helps make this fruit so distinctive. While this may make it more difficult to determine maturity, you’ll know your pears are ripe and ready to eat when they give in to slight thumb pressure. To slow the ripening process and preserve the optimal nutrients, pears can be refrigerated for a few days. 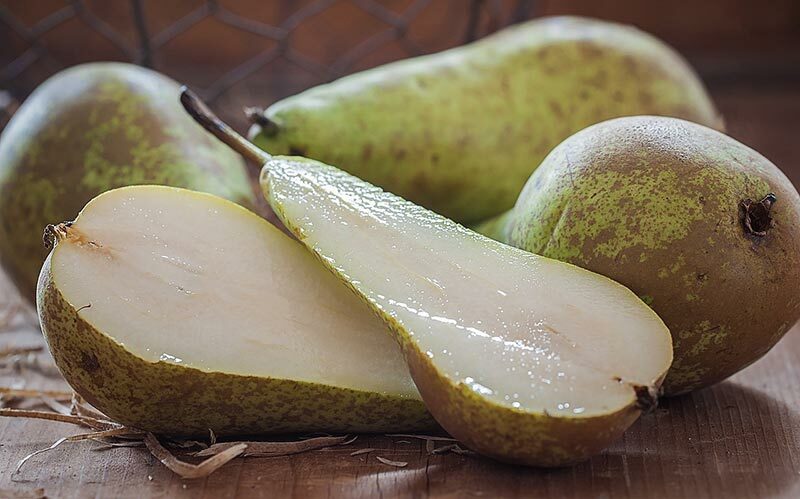 Whatever type you use, pears are excellent for snacking, adding to garden salads, mixing with other fruits such as pineapples, peaches, or mangoes for a fruit salad. Overripe pears can be used in cooking and baking. 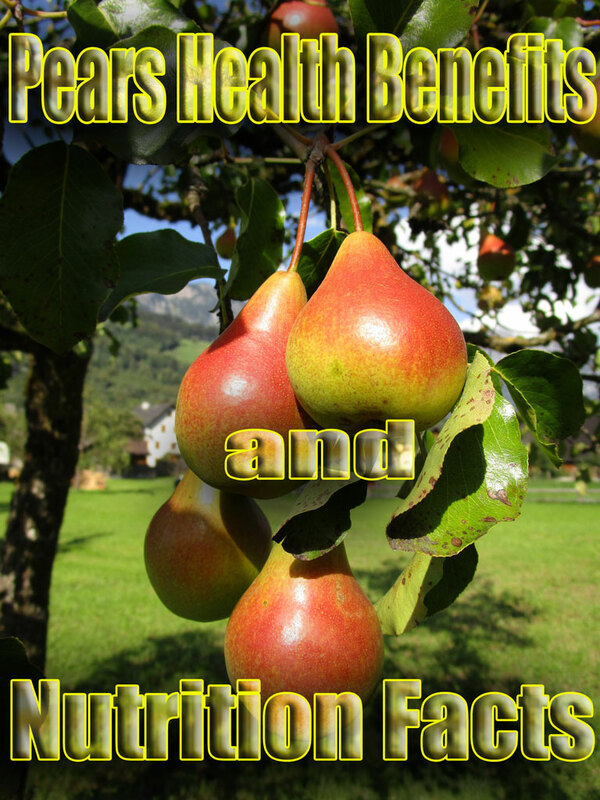 While pears can’t boast of any impressive amount of any one nutrient, they do contain a wide array of both vitamins and minerals. In minerals, pears contain good amounts of copper, iron, potassium, manganese, and magnesium , along with B-vitamins like folates, riboflavin, and pyridoxine (vitamin B6). This translates to lowered incidences of painful colitis, arthritis, gallbladder disorders, and gout. Pears contain 12 percent and 10 percent of the daily value, respectively, in vitamin C, good for fighting infection throughout the body, and vitamin K, for building and maintaining bone strength. 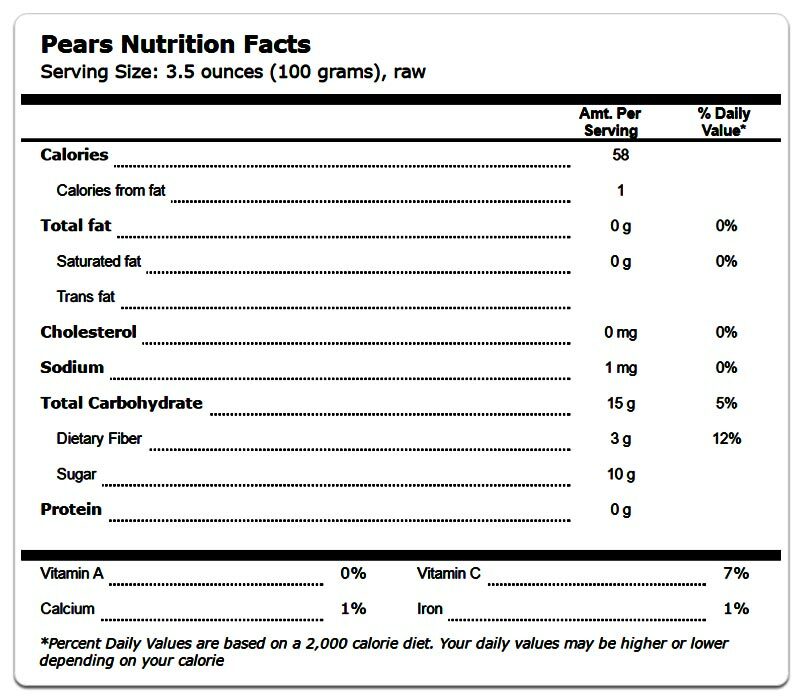 What pears don’t have is almost as important: They’re completely fat-free, but the fiber content eclipses all of this fruit’s other attributes with 22 percent of the daily recommended value. Added to this is that as a nutrient-dense food, eating a pear is a great option when you’re looking for a way to limit your fat and calorie intake – a good way to make you feel fuller longer, which helps you watch your weight. The hydroxycinnamic and hydroxybenzoic acid content in pears is linked with stomach and lung cancer prevention. Boron, another ingredient, is needed to not only bolster the calcium in our bodies, but also to help prevent osteoporosis. Flavonols such as quercetin, and carotenoids like lutein and zeaxanthin, together provide additional health benefits like lowered cancer, type 2 diabetes, and heart disease risks. As good as pears are for you, the peeling is even better with nearly quadruple the phytonutrients, including beta-carotene, lutein, and zeaxanthin. Along with vitamin C and A, these compounds help keep the body protected from harmful free radicals. 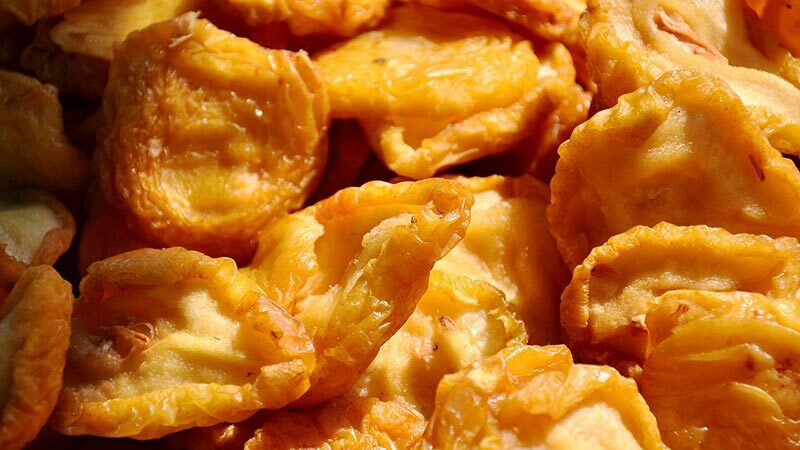 The gritty texture you get in your mouth when you take a bite? It grabs on to cancer-causing toxins and chemicals in your colon, essentially scouring them from your gut as they pass through, making for a pretty efficient way to dispose of them. Loaded with free radical-neutralizing antioxidants, pears are also high on the Oxygen Radical Absorbance Capacity (ORAC) list – green pears with 2,201 and red Anjou pears with 1,746. However, consume pears in moderation because they contain fructose, which may be harmful to your health in excessive amounts. Research has determined that it’s the variety of pear rather than its maturity that determines the phenolic strength. The caffeic acid derivatives catechin, epicatechin, and quercetin were the most prominent. Eating more anthocyanin-rich fruits – specifically pears – was found to be significantly associated with a lower risk of type 2 diabetes. Death from head and neck cancers (cancers of the mouth, pharynx, and larynx) is number six on the scale of highest cancer mortality rate worldwide, which exceeds 350,000 deaths annually. One study supported the premise that eating fruits and vegetables is linked to a reduced risk of these types of cancers. 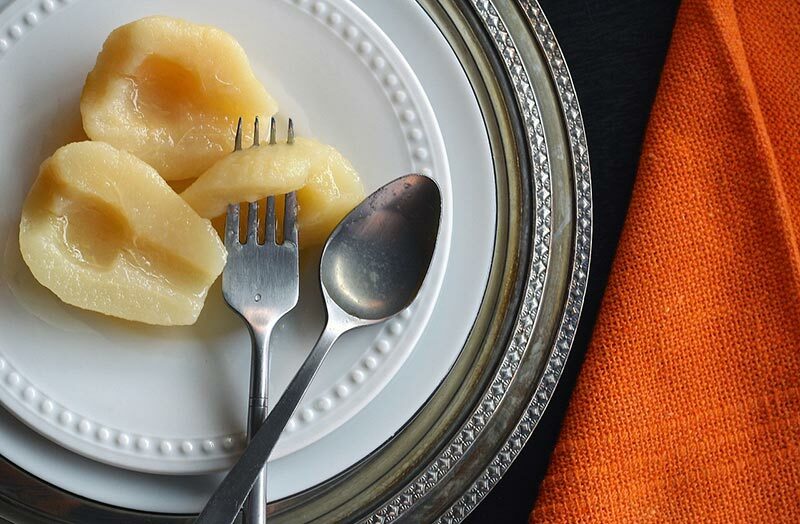 The first mention of pears is pinpointed to Southeast Asian regions. They were first cultivated in Europe around 1000 B.C. Asian pears were cultivated in China as early as 1134 B.C. From these, European pears were developed in around 1,000 B.C. North American pear trees weren’t planted until 1620 in the Massachusetts Bay colony. 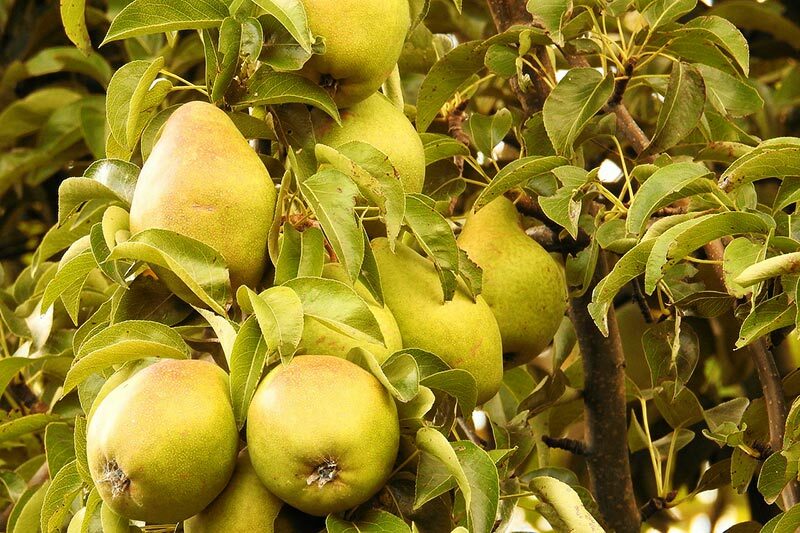 Of the 4,000 pear tree varieties, only 30 are edible. Of those are two types, the firmer, crispier Asian pear and the juicier European cultivars, both provide a wide array of vitamins, minerals such as copper, iron, potassium, manganese and magnesium, several B vitamins, healthy acids and powerful polyphenols, as well as the vitamins C, A, and K.
The health benefits of pears include the ability for your body to fight infection, diabetes, cancer, colitis, arthritis, osteoporosis, gallbladder disorders, and gout. 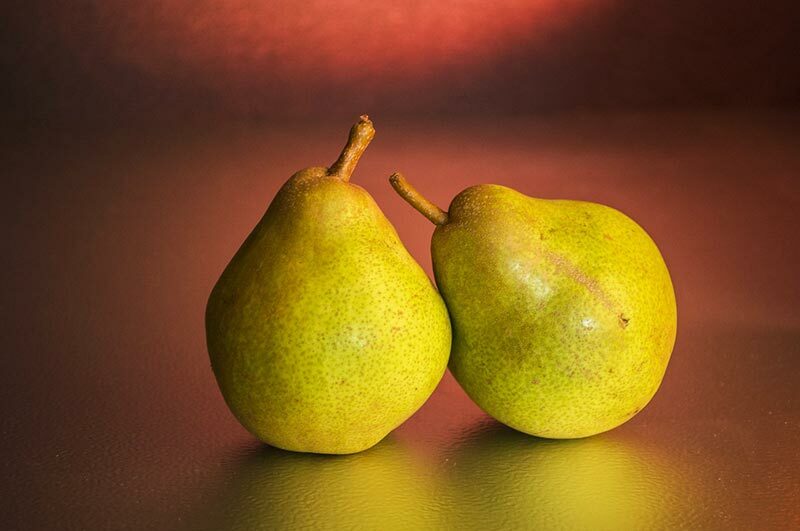 Pears are exceptionally high in fiber, which keeps your system regulated.